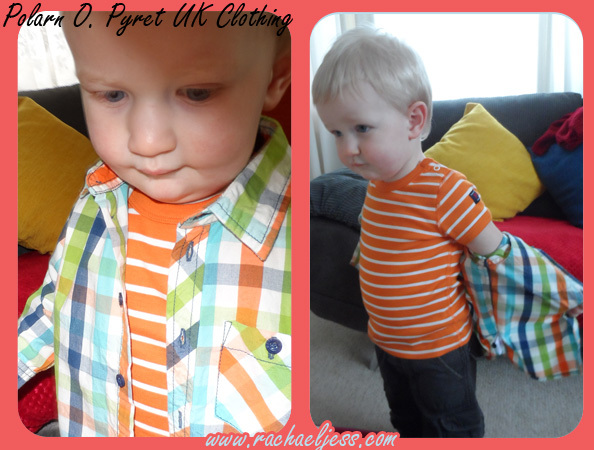 We received a couple of items from Polarn O.Pyret to review for Max. I must admit I'd not heard of PO.P before this week so was looking forward to reviewing the quality and sizing of these products. Polarn O.Pyret started out in 1976 in Stockholm and has since grown in Europe and I can see why. 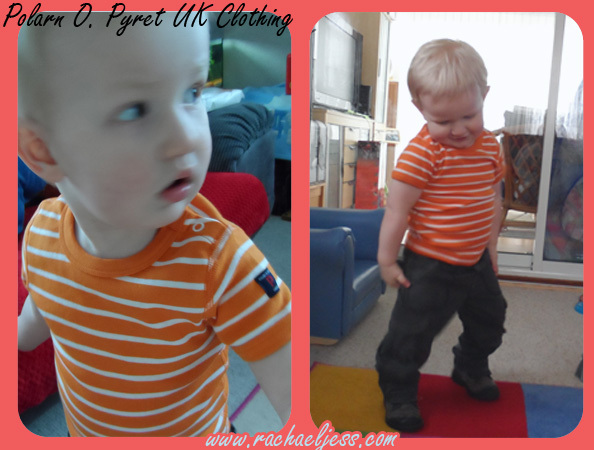 We received a shirt and T-shirt for Max and the quality of the clothing stood out when we opened the package. These are good quality product and the sizing is spot on! I do have trouble with some stores regarding clothing and one of the favourites is I have to go a size bigger. 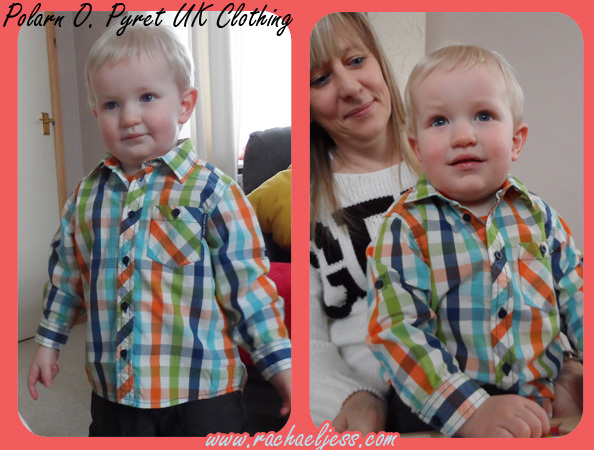 Max is in 1-1.5yr clothing and as you can see from the pictures these fit him perfectly. I am so pleased with the quality of these items I will definitely be visiting their online store for future clothing for him. I do love the T-Shirt. 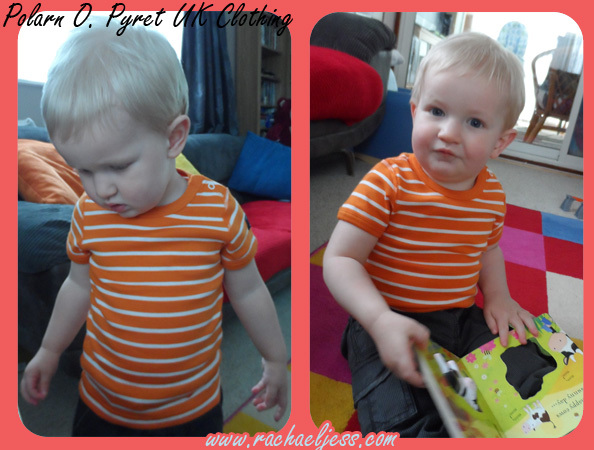 The orange is very vivid and bold (and we all know mummy loves bold colours). It has little poppers on the shoulder for extra room if needed to get the top over his head. The shirt is daddy's favourite (no surprise there as daddy also lives in shirts). The buttons are not fiddly and the shirt was easy to get on and space for Max to move around and it was quite clear that both items did not restrict him in any way. Here's my handsome little model. So what do you think? These are lovely colours don't you think? I was sent these items for review purposes. All words and opinions on this review are my own. Awesome! The shirts looks so cool!